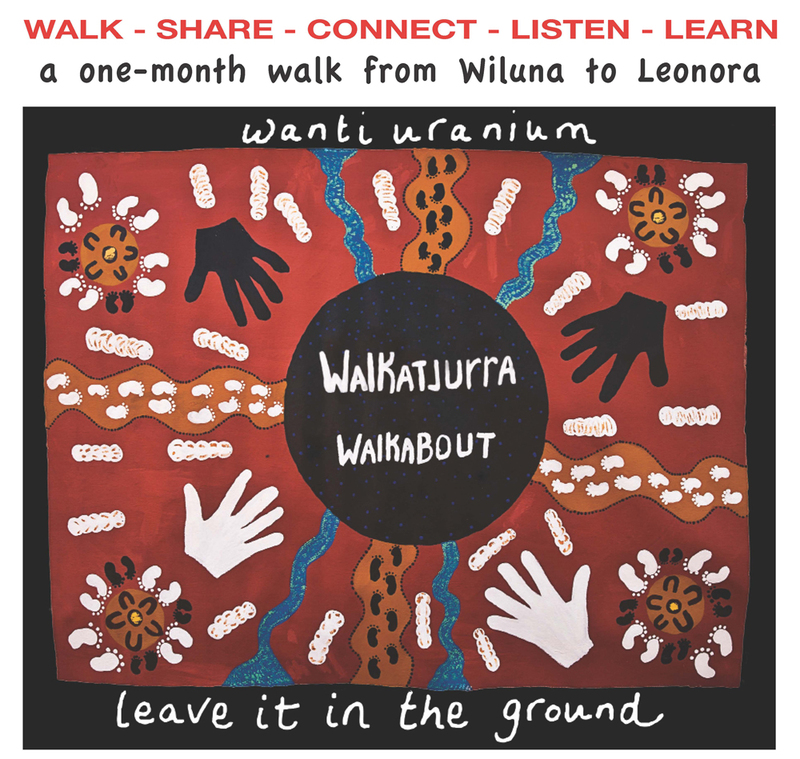 If you have a few spare dollars to donate it would be greatly appreciated..
Funds raised will go to support Martu joining the walk from surrounding communities. The Parnngurr Community was set up in the 1980’s during the homelands movement, as a protest camp against uranium exploration. The community here and other Martu communities are now faced with the renewed threat of uranium mining by Cameco and Mitsubishi. 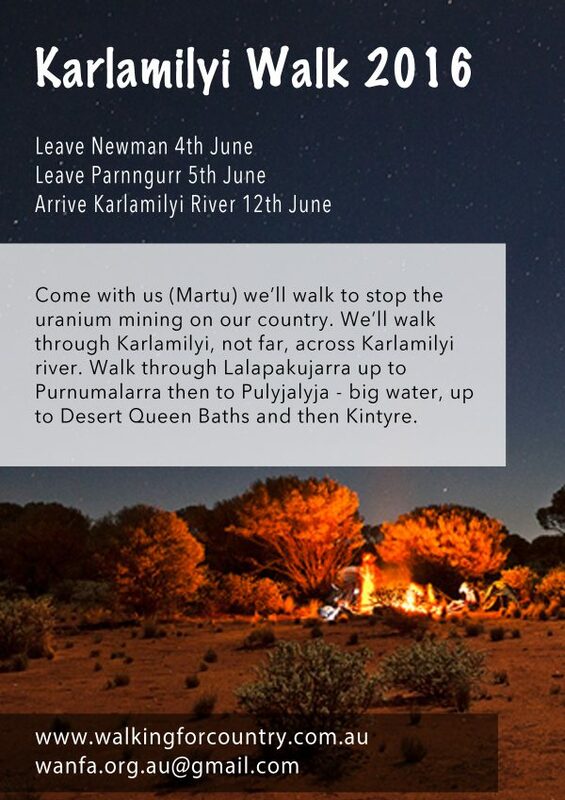 The community has called for a walk from their community to the proposed uranium mine through the stunning Karlamilyi National Park. We will be meeting in Kalgoorlie on the 7th of August if you want to join us there. 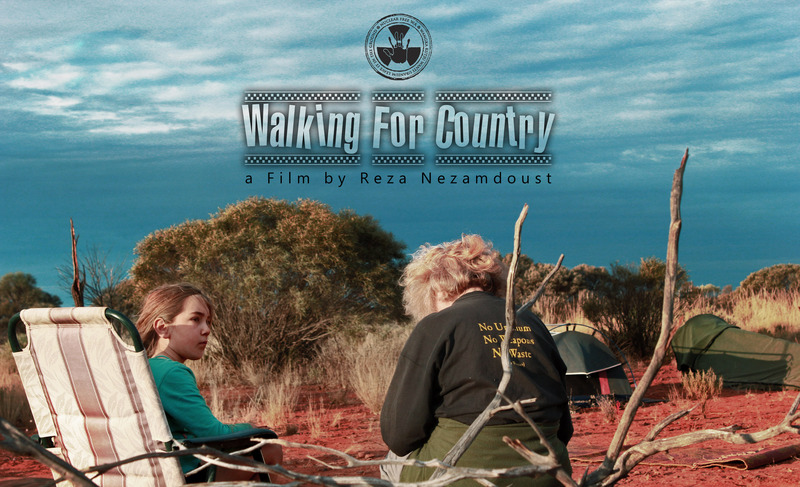 We will be camping the night in Kalgoorlie at the Wongutha Birni Cultural Centre, and then driving up to Wiluna on the morning of the 8th of August. Our first walking day will be on the 11th August. The first International screening will happen this week at the International Uranium Film Festival in Brazil. Next postWalkatjurra Walkabout, Karlamilyi Walk, Elections and more..